As you know, Blue Stew has been performing at the Bombay on Sundays since November 2013 however this coming Sunday, August the 24th, Blue Stew will play their last date at the Bombay. You are all invited to come on out and give us a big heave ho' into the future, whatever that may be. A little backstory: For some 20 years Blue Stew, in it's various configurations had that most coveted of gigs, a 'residency' in the Ventura Harbor. When Blackbeards closed down we got lucky and were offered a residency at Bombay which was swell in some ways but we are aware that it wasn't a lot of folks' happy place for dancing and carrying on so we're hoping to find a fun new spot to settle in and we want you all to come along for the ride so keep your eyes and ears open for news updates. There's some speculation as to why Blue Stew is leaving the Bombay: It's about money. Even with the cover charge the Bombay wasn't breaking even let alone seeing a profit and if we hadn't put into place the cover charge on June 1st, we would of been out of there almost 3 months ago. So keep this in mind: No matter where you go, if it's a live performance and there's a group playing and you want that group to continue playing, do what you can to support live music and spend some money ! Pretty simple !... It's in your hands!. See you all THIS COMING SUNDAY AUGUST 24th. Bombay Bar & Grill $5.00 cover. Blue Stew is available for private parties, holiday parties etc. So if anyone has any suggestions, please write the website and we'll get the info and get back to you. Blue Stew plays every Sunday (unless scheduled otherwise, count on it) at Bombays Backstage. To get to Bombays Backstage, come through the front door at California St, walk towards the back. When you get to Bombays Burger Bar, make a left and there you are. There's also access to the venue via the steps at the rear of the Bombay. 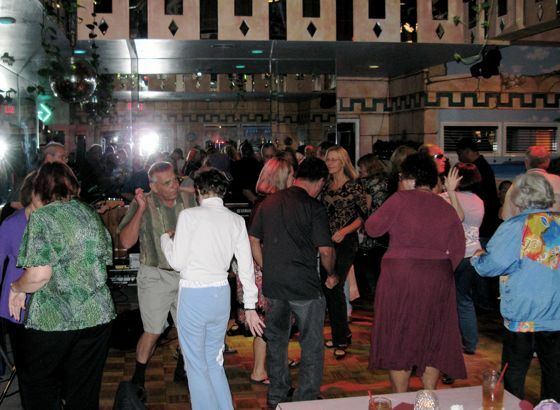 The Backstage is a great spot for music lovers and dancers so come on down! Hungry too? Treat yourself to Bombays Burger Bar! A big Blue Stew Thumbs UP to the best burger bar in Ventura! Blue Stew performs every Sunday in December at the Bombay Bar & Grill on California St in Downtown Ventura. Dancing starts at 2pm and rolls to 5pm. The party is over before you know it, so don't be late! It's official.. We got word this past Friday night from reliable sources… Blackbeards, (formally known as HiCees) in the Ventura Harbor Village is no more. The deal is done, the chubby lady has warbled, 'it ain't so', The basics; the powers that be wouldn't come up with an agreeable lease term for our dear friend John Rodgers. In speaking to John this past Sunday, he mentioned he might be doing something else in the area. Let's pray it's so. He's family now and one hell of a great guy and Ventura need folks like him. Nevertheless, we can all raise a glass and say, 'long live the good times we all had together!' Looking back, Blue Stew, in one form or another spent nearly 2 decades driving down Harbor Blvd, pulling up to the curb on Spinnaker Dr, loading in, watching the people come in, weekend after weekend. It was as Steve White famously opined… "church…. with beer!". It was a great run, we made history and for that we can all be infinitely grateful. Not to worry though, Blue Stew is alive and very well and bouncing around town & drawing happy crowds! We want to see you all whenever you can make it so keep an eye on the schedule at http://www.bluestew.com and check the schedule for performance dates. Let your friends know what's up. Please keep this in mind: While we truly appreciate your presence at venues, those of you that enjoy the music and dancing need to support the establishments we perform in. Ordering a glass of water and taking up space while not spending a bit of money in a business puts the entertainment in a negative situation with proprietors which in turn gets the band booted off the roster. Please be thoughtful and remember; wherever live music is offered, the establishment has an overhead which includes covering the cost of providing your entertainment. Be sure to do your part to keep the party rolling and order up some beverages & something to eat. Blue Stew performs Sundays November 10th and November 17th at the Bombay Bar & Grill on California St in Downtown Ventura. Dancing starts at 2pm and rolls to 5pm. The party is over before you know it! so don't be late ! You can also catch the Stew on Sunday November 24th at Peiranos Red Room (3pm – 6pm). Located at 204 E Main St in downtown Ventura across from the San Buenaventura Mission, it's a great spot for dancing and some quality eats and beverages. Your host at Peiranos is Saana. Come on down! Something new is happening ! Blue Stew (the whole band ) is playing this coming Sunday November 3rd on the Backstage at Bombay Bar & Grill. 143 S. California St. The dancing starts at 2pm and we'll hit it 'til 5pm. We're also scheduled to play there Sundays, Nov 10th & 17th, same hours etc. Sunday Nov 24th is a possible & we'll keep you all abreast of that date. To get to Bombays Backstage, come through the front door at California St, walk towards the back, when you get to Bombays Burger Bar, make a left and bam... you be there. It's a whole other world in that room & it's the bands first time playing the Backstage & with your support, we can make it a sweet spot for music lovers and dancers. Be sure to check out the attached menu for Bombays Burger Bar offerings. NEWS: Meanwhile, Regarding ye' olde Blackbeard situation: From what I can see at the Ventura Harbor Village website, http://venturaharbor.com/ (on right side of page see Public Notices then Meeting Packets) John Rodgers, (the guy we've all come to know as likely new ringmaster) has entered into the next 'echelon' of negotiations. Keep them toes crossed ! We'll keep you posted on any developments. Thank you all for such a fun night to honor and remember Mike. He would never believe this was all for him, but would be incredibly honored and humbled. Thank you to all of the musicians that performed, including The Ray Jay Band, Steve White & the Barstool Pigeons, Michael John & The Bottom Line, Kacey Cubero, Baby Sister, and of course Blue Stew. The support from all of his friends and fans is overwhelming and is much appreciated. We would like to invite you to join us to share memories of Mike and celebrate his life and his music. There will be a party at the Greek at the Harbor in Ventura, CA (next to the Hi-Cees where Mike played regularly). The event will be held on Thursday, August 28, from 6:00 - 10:00 PM. There will be live music by Blue Stew and other fellow musician friends of Mike's. Everyone is welcome, however it is preferred if you could RSVP by sending us an e-mail. If you can't make the party but would still like to send us your thoughts, you may contact us also; we'd love to hear from you! Thank you all for your support over the years and we hope to see you at the party! One of Mike's last ambitions was to start a songwriter's showcase, which would allow all songwriters in the area the opportunity to share their music to an attentive audience. He had planned to host this with his good friend, Fred Schmitt. Plans were drawn up on a piece of paper which was found by his computer. 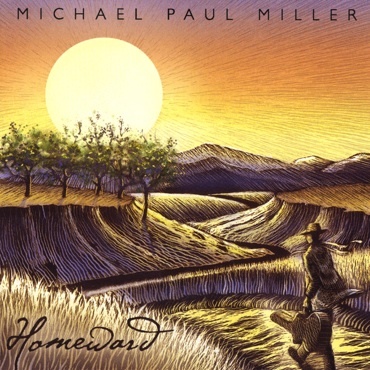 Fred Schmitt will carry on Mike's dream in his honor and the first "Mike Miller Songwriter's Showcase" will be held at the Hi-Cees on Thursday, May 22, from 6:00 - 9:00 PM. Guests will include Kacey Cubero, Drew Rouse, and Emy Reynolds in what is sure to be a fun night. We hope to see you there! Michael Paul Miller, lead guitarist, singer, and songwriter for Blue Stew, passed away at his home on April 8, 2008 at the age of 56 years. We have added a photo gallery where you can see our photos from the 2008 IBC and even upload your own pics! We're back from Memphis and boy, did we have a blast. 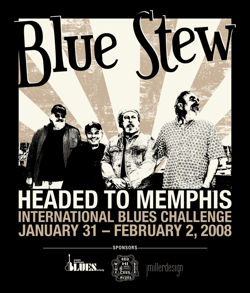 About two dozen fans followed the band to Memphis for the 2008 International Blues Challenge. There were 100 bands competing spread out over 10 venues, plus 60 solo/duo acts from all over the world representing their local blues societies. Each band had 25 minutes to play and performed two nights before different judges. After tallying up the scores, the band with the highest points moved on the the finals, where they competed one more time and the top 3 bands were chosen. Unfortunately, Blue Stew did not make it to the finals, but the winner from their venue went on to take 3rd place in the event, so they had some tight competition. However, the owner of the Blues City Cafe, which was the venue they were competing in, liked the band so much that he had them return and play a gig after the competition was over! That night, after all other venues were closing down after finishing judging all the acts, Blue Stew played an additional 2 hours and packed the house. In fact, they then got two more job offers for the next night. We all had a great time during the IBC. The famous Beale Street in downtown Memphis was packed with people and had over 20 venues playing incredible music. With all of the California fans out there, there was no place you could go without bumping into a familiar face (that was also wearing a Blue Stew t-shirt). Our trip was also covered by the local Ventura County Star newspaper. The original article entitled Memphis Mission can be read here and the followup article after the event can be read here. We have uploaded videos of the event so those of you who were unable to go can feel like you were there and for the rest of you to relive the fun times. We'll have pictures online soon and even more videos on the way, including some of the songs from Blue Stew's gig at Blues City after the IBC event, so check back often! The band would like to send a special thank you to Greg & Joan Launert of the Hi-Cees, to Justin & Julie Miller, and to all of the Blue Stew fans for your wonderful support. We made it to Memphis because of you! As you may know, we are selling shirts to raise donations to send the band to Memphis to compete in the International Blues Challenge finals. We have been and will continue to sell them every Sunday at our regular gig at the Hi-Cees. Check the schedule page to see the times and location. We have sold out of our first printing of long-sleeves and hoodies, but still have both Men's and Women's Tees available. Our second printing will first be available to folks at the Hi-Cees on Sunday, Jan 13. On that day we will have the most sizes available, but we expect them to sell out quickly, so arrive early! Jan 13 (and every following Sunday) at the Hi-Cees is the best place to get your shirts, but if you would like to order online and have it shipped to you, we can do that too. You may send your request to webmaster@bluestew.com. We will have Men's Tee ($20), Women's Tee ($20), Long-Sleeve ($25), and Hoodie Sweatshirts ($35). Shipping is $3/shirt. You may send in your order now, but we may not be able to fulfill all sizes requested. The first sales of the shirts will be at the Hi-Cees, and then after that it will be first come, first serve for online orders. If you would like to donate directly towards the Memphis trip without purchasing a shirt, we will gladly accept your donation by credit card through PayPal. Memphis Fundraiser Event A Success! A HUGE thank you goes out to all the fans who have supported us. We had such a great night packed full of fellow musicians and diehard Blue Stew fans. Your generous donations are very much appreciated. As you know, Blue Stew won the blues challenge at SOhO in Santa Barbara and will be advancing to the International Blues Challenge finals in Memphis to compete with some of the best blues bands from all over the world. The finals take place January 31 - February 2, 2008, and there will be a fundraiser show this Thursday evening, December 13 at the Hi-Cees in the Ventura Harbor Village to help pay for the band's expenses to travel to and compete in Memphis. The event will be packed with some of the best blues musicians in Ventura county to jam with Blue Stew and will have celebrity Mickey Jones (Bob Dylan's first drummer) joining the party to support his favorite blues band. Your $20 cover at the door will include food and a drink and we will also be selling Blue Stew shirts to raise money and will raffle off CDs and other items. All proceeds over cost will go directly to Blue Stew for the Memphis trip. Come join the party for a worthwhile night of great music and support your local musicians in this great accomplishment! Blue Stew was invited to participate in the 2008 International Blues Competition at SOhO in Santa Barbara on October 27, and we won! That means we're off to Memphis, TN Jan 31-Feb 2 to represent the Santa Barbara Blues Society to compete against about 150 other bands from all over the world. During that week, Beale St is packed with non-stop music and the best ribs! It's a great time for all, so hopefully some Blue Stew fans can make it out there! Did you miss the SOhO show? If so, you really missed out on a good time. We've tried to give you a taste by uploading some videos from that afternoon. Featured here is "I'm A Slave To You." You can also watch Where Do I Fit In, Big Woman Dance, and Wang Dang Doodle (ft. April Hendrix & Kacey Cubero). All these videos can be found at youtube.com/bluestew. On Sunday, March 25, the Santa Barbara Blues Society and SOhO will be having a special Blues Brunch featuring Blue Stew. This is in honor of the CD Headed South making it to the top 5 best self-produced CDs in the International Blues Challenge. General admission will be $10, or $2 off for SBBS members & 1 guest. You can make reservations by calling (805) 962-7776. We hope to see you there for an afternoon of blues and fun! 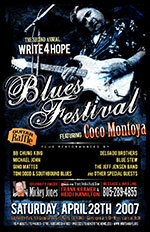 On April 28th, Blue Stew will be one of several bands performing at the second annual Write 4 Hope Blues Festival. 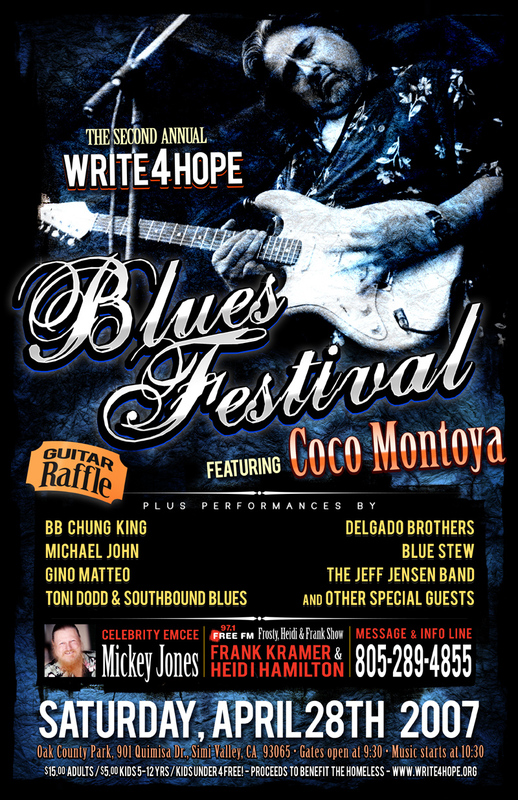 Among some of the other performers are Coco Montoya, BB Chung King, Michael John, and many others, including the celebrity emcee Mickey Jones. Tickets will be just $15 for adults, with proceeds to benefit the homeless. You can find out more info at www.write4hope.org or by calling (805) 289-4855. Well, Blue Stew didn't take the #1 position, but being in the top five for The International Blues Challenge's Best Self Produced CD competition is quite an honor. Congratulations to Mighty Lester and a big thank you to The Blues Foundation and The Santa Barbara Blues Society. You can hear the CD that was voted to the top 5, "Headed South", on our Listen Page. You can purchase this CD directly here or visit our Order Page for purchasing other CDs or purchasing the downloads. 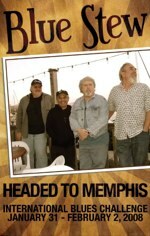 "Headed South" has now advanced to the top 5 CDs remaining of The Blues Foundation's Best Self Produced CD competition. The remaining acts will be judged at the International Blues Challenge Febuary 1-3, 2007 and the winner will be announced at Band finals in the Orpheum Theater. 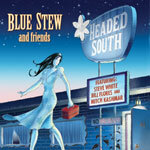 Blue Stew's latest album "Headed South" has made it to the top 10 CDs advancing to the second round of The Blues Foundation's Best Self Produced CD competition. This is an international competition, so to make it in the top 10 is quite an honor. It will now proceed to the next round of judging. Blue Stew's song "La Fayette Cajun Fest And Fais Do Do", won third place for Best Cajun Song of 2006 by Just Plain Folks. For more details, visit jpfolks.com. If you would like to listen to a sample of the song, you can do so in the Listen section of the Blue Stew site. You can also purchase the song in the Order section. It has just been announced that after screening over 350,000 songs, Blue Stew's song "La Fayette Cajun Fest And Fais Do Do" has been nominated by Just Plain Folks for Best Cajun Song of 2006. You can find all the details at jpfolks.com or view the full list of song nominees here. If you would like to listen to a sample of the song, you can do so in the Listen section of this site. You can also purchase the song in the Order section. A new feature to bluestew.com is you can now download individual tracks from all of our albums for just $0.99 each. Songs are encoded in high quality AAC format and can be downloaded instantly upon payment. Payments are handled securely through PayPal. To purchase songs, please visit our order page. Welcome to the new look of bluestew.com. The site has gone through a complete re-design by jmillerdesign. Come back often to stay up-to-date with the band and view their current schedule. If you have any questions, comments, or just want to say hi, use our contact form. © 2008—2019	jmillerdesign. All Rights Reserved.